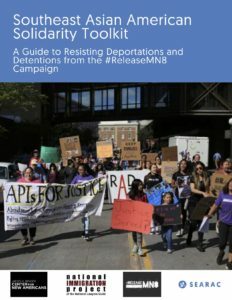 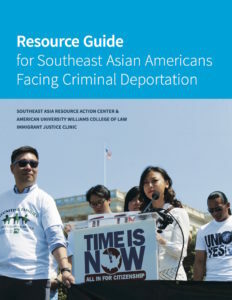 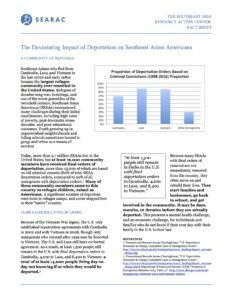 Southeast Asian refugees are three to four times more likely to be deported on the basis of an old criminal conviction compared to other immigrants. 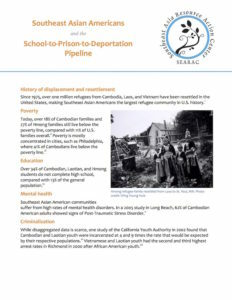 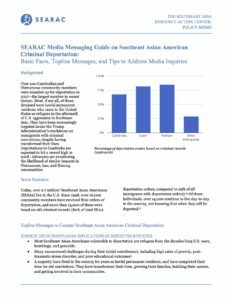 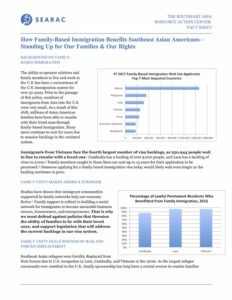 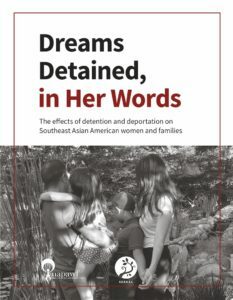 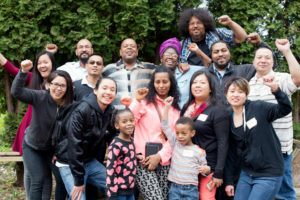 SEARAC’s immigration work uplifts the rights of our Southeast Asian American families to stay together and champions the value of second chances. 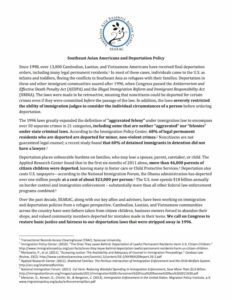 We fight to change outdated immigration laws that make it almost impossible for many families to fight deportation.